How do you ensure when you are learning to code, that you are on the right track? Can you learn enough to be employable within a reasonable amount of time? Are the skills you are investing so much time, energy and effort into worth it? With so many ways to solve a coding problem, which is the best? All of these and more are questions students ask themselves everyday before they come to Boise CodeWorks. 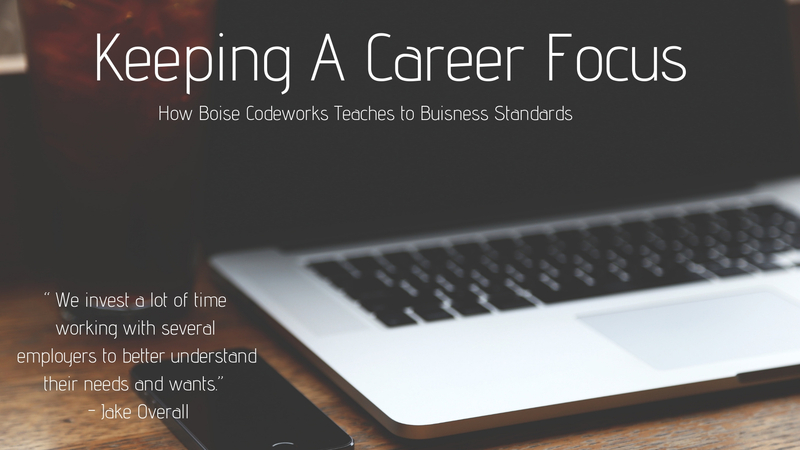 I sat down with Jake Overall founder and CEO of Boise CodeWorks to discuss why Codeworks teaches what it does and how it stays relevant in an ever changing career field. Learning to code on your own can be challenging in itself, adding to that the challenge of knowing if what you are learning is relevant to what you want to do in your career can be even more challenging. Jake was able to identify how CodeWorks ensures that it’s curriculum is meeting the ever changing marketplace. “As we have progressed over several years, we have had to adapt our tech stack to meet employers needs” Jake said. A process which he says they review roughly twice a year to ensure the content they are teaching is still valuable. Something that has been the power of all coding bootcamps that unfortunately other formal institutions are not able to be as reactive to. One thing that can be challenging for new developers is deciding which language, and frameworks to use. CodeWorks helps to take out some of the guesswork by not attempting to teach simply the flavor-of-the-week framework or the shotgun approach of teaching everything, rather we focus on the most important skills for today's job market. 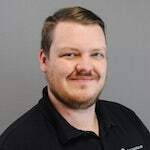 Jake stated that Codeworks teaches the languages that are “...the best tool for the job and are solving the problems employers are currently facing.” How exactly do they know what employers are looking for? “We invest a lot of time working with several employers to better understand their needs and wants.” Over the course of three years, CodeWorks has developed a name for itself and has graduated over 200 students from its courses here locally. Another important thing to remember is when you learn a language, such as C#, one taught as a part of the Immersive Full-Stack course at CodeWorks; you are not only learning the language but some of the fundamentals applicable to all coding. “The principals you learn in a language like C# are ones that will improve your coding throughout your career” Jake answered. It’s true, certain principles such as the Pillars of Object Oriented Programming, RESTful API’s and even simple things like proper naming convention can be applied across several languages, including both those taught and not taught at CodeWorks. As an instructor Jake and I agree fully that “It is really a joy to be able to watch students transitioning from one career into another and being a part of that process of bettering their lives” We want to be a part of your journey into a new career. Reach out to us if you are considering coding as a possible future for you. We look forward to each new life we can help change.